Rocky McMurray. Photo by Dearborn County Sheriff’s Department. AURORA, INDIANA — Indiana State Police report that on Jan. 24, 2017, at approximately 6:00 pm, the Indiana State Police served an arrest warrant on an Aurora, Indiana man for charges related to the January 24th crash that killed a Moores Hill man. The investigation by Trooper Kyle Stovall, began on January 24, 2017, when troopers responded to a head-on collision on Sparta Pike near County Road 350 in Moores Hill, Indiana. 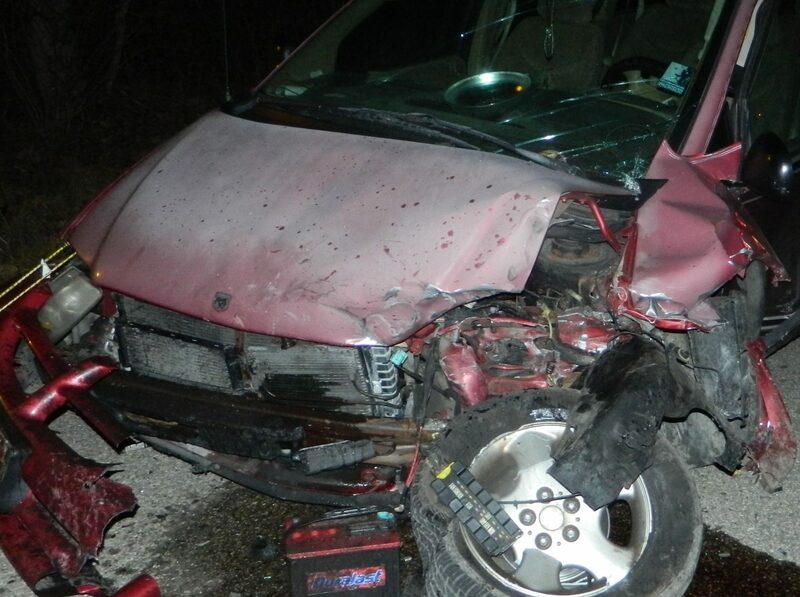 The crash investigation by Trooper Andrew Garrett determined that a red 1999 Dodge Grand Caravan, being driven by Rocky McMurray, age 47, Aurora, Indiana was traveling eastbound on Sparta Pike and drove left of center into the path of a 2005 Dodge Neon being driven by Steven Ahaus, age 48, Moores Hill, Indiana. Ahaus died as a result of the collision. The criminal investigation by Trooper Stovall determined that McMurray was believed to be intoxicated at the time of the crash. He tested over twice the legal limit on a preliminary breath test at the scene. McMurray also submitted to a blood test while he was hospitalized after the crash. Those results are still pending. The investigation was turned over to the Dearborn County Prosecutor’s Office which ultimately led to a warrant being issued for McMurray’s arrest on charges of Reckless Homicide, Operating While Intoxicated-Causing Death, and Operating While Intoxicated While Endangering a Person. Trooper Garrett and Trooper Travis Linville located McMurray at his residence and arrested him on the charges. He was incarcerated in the Dearborn County Jail pending his initial court appearance. McMurray made his initial appearance in Dearborn Superior Court II on Monday. Deputy prosecutor Andrew Krumwied told Judge Sally Blankenship that McMurray has a 2005 conviction for manslaughter in Kentucky in relation to another wreck he caused which claimed another man’s life. 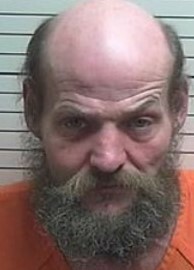 “This is the second time he is alleged to have killed a man in a drunk driving accident,” Krumwied said. Krumwied also recapped McMurray’s previous OWI convictions in Indiana. This entry was posted in Arrest bookings, DUI convictions, DWI arrest photos, DWI Arrests by State, DWI crash photos, injury or death, repeat offender and tagged and Operating While Intoxicated While Endangering a Person, Dearborn County Jail, Dearborn County Prosecutor’s Office, Deputy prosecutor Andrew Krumwied, Driving Under the Influence, driving while impaired, driving while intoxicated, drunk driving, DUI, DWI, Indiana State Police, Judge Sally Blankenship, Operating While Intoxicated Causing Death, Reckless Homicide, Steven Ahaus killed by drunk driver, Trooper Andrew Garrett, Trooper Stovall. Bookmark the permalink.